Heading out tomorrow to do some boards for Greg Surf Co. Osaka, and Surfindian, Pacific Beach, San Diego, and do some tattooing at Avalon Tattoo in beautiful Pacific Beach. Of course I’m planning on getting wet every morning before work. See you in the line up. contact me for availability and prices, or look for them at Surfindian when they’re ready. 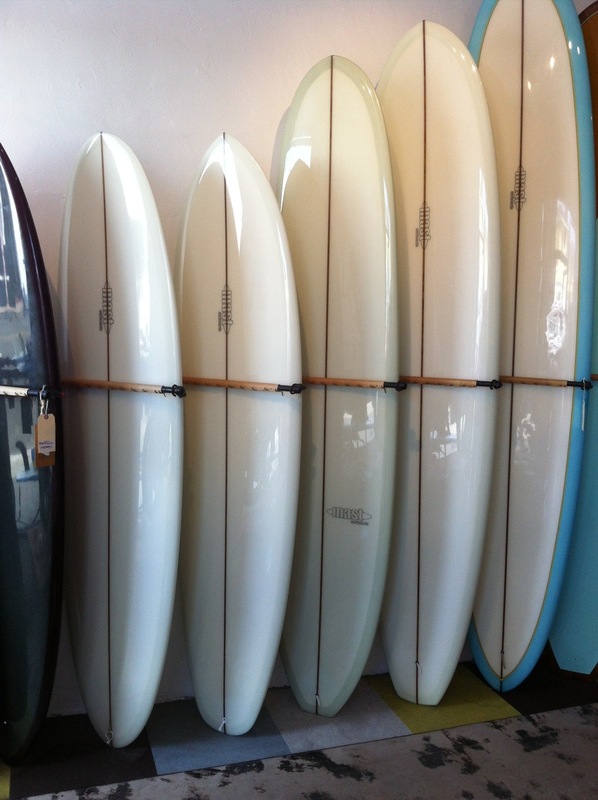 Come on down to Surfindian and check out the fresh new line-up for summer. Dropped of two new boards to Surfindian that I’m very exited about. One is a 7’4″ egg in 6oz. 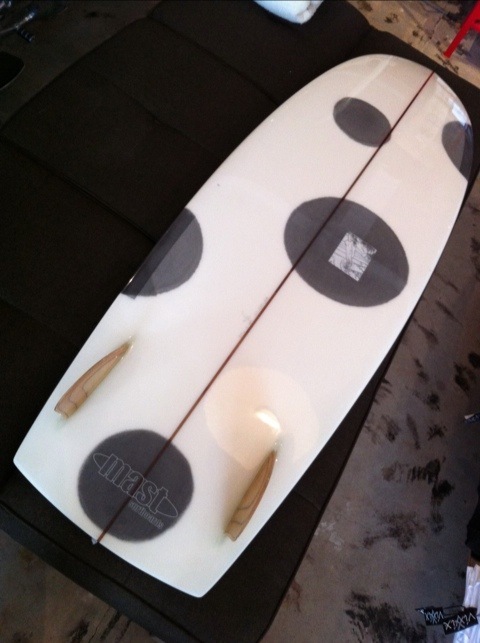 volan that should be a great board for the summer. 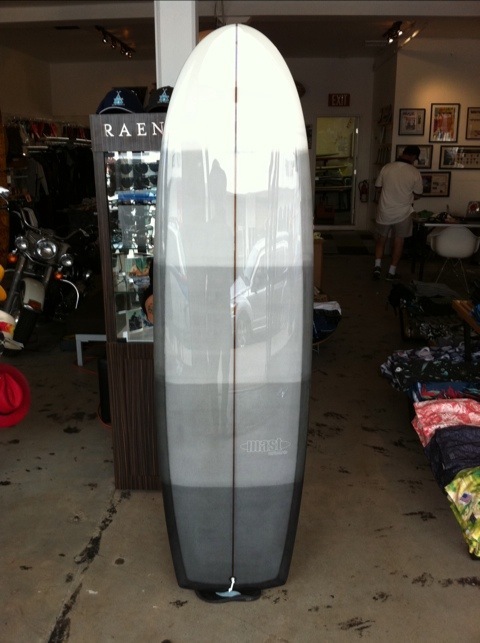 The other is a 7’5 1/2″ hillbilly hull with a cool white resin jailbreak stripe job. Stop down and check them out at Surfindian in beautiful Pacific Beach. Heading out soon for my March trip to San Diego. Mostly shaping this trip. Last trip, I had a few down days, so this time I only booked ten days instead of my normal two weeks. Of course as soon as I did, I got jammed up with orders. As a result I’m shaping every day except one, and that one I’m tattooing at Avalon Tattoo in beautiful Pacific Beach. 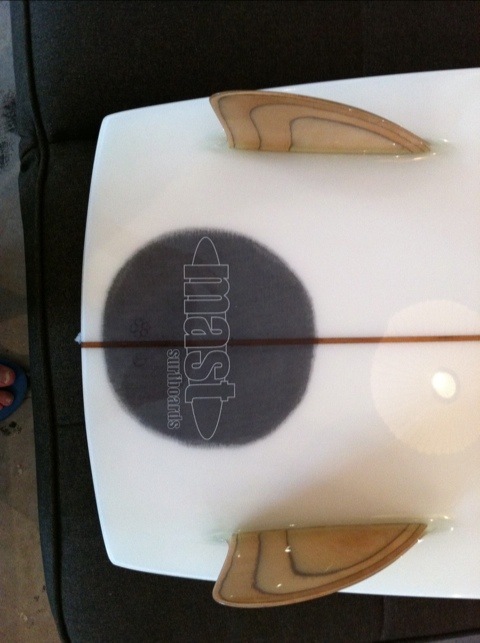 I should have time to do a few new stock boards for Chris and Masa at Surfindian. Stop in and check them out. I look forward to seeing all of my friends in the water. 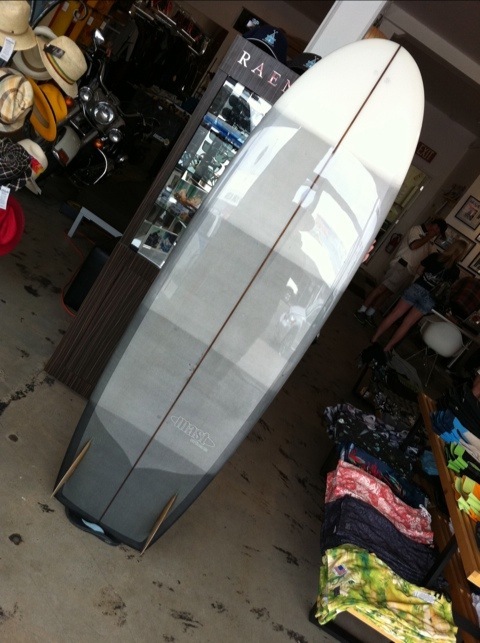 6’7″ HPH speedster: Geppy #2’s, 6×6(6), smoke tint bands top and bottom, gloss and polish. Too sweet.